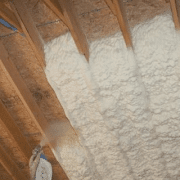 If you are told that your attic along with the roof are two of the weakest places in your thermal insulation system it is possible that many may not believe. According to statistics poor (or absent) attic insulation will account for up to 15 % of the total energy loss in your house. Insulating an attic which is generally unheated is vital in the home energy saving process. What is really the attic in your building? Attic is defined as the space enclosed by the building wall and is located directly under the roof. As this is an area generally not occupied continuously by anybody (except in special designs and home modifications) it is unheated. Some components of utilities such as water heaters, hot water storages, air conditioning and heating air ducts and also goods storages may be located here depending on the volume of space available. Generally the roof and the floor are insulated though more often than not inadequately. The silver lining in the whole issue is that of all insulations of an old or new building attic insulation is the easiest to tackle. And in most cases can be carried out by semiskilled amateurs as a DIY project perhaps during a weekend! 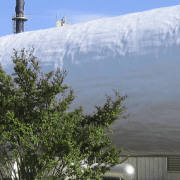 Cellular Foam Insulation – sheets of Butyle and Nitrile rubber foam etc. 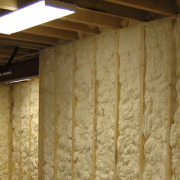 The use of cellulose insulation is currently gaining grounds over fiberglass and mineral wool insulation. The reasons being none other than economy! 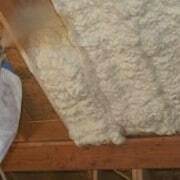 The thermal resistance value “R” per unit material cost for cellulose fill is the lowest for any attic insulation. The cellulose loose fill can be filled in between timber joists. This may raise dust posing a health hazard. Adequate precautions are advised. These fibres may settle about 20 % over the time. An overfill of at least this amount is therefore recommended. 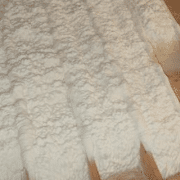 On the other hand stabilized cellulose material does not show this weakness and is therefore better suited for the job in spite of the higher price. 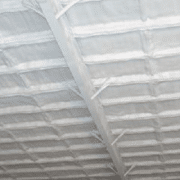 On the other hand the EPS, PF and cellular foam slabs can be easily cut to exact size between joist spacing and also can be fitted over them completely eliminating any thermal bridges unlike fiberglass, cellulose material etc. Handling of Fibreglass or mineral wool insulation should be done with care. Protective clothing and masks need to be worn. Check all hot water plumbing insulation and renew if necessary. Continuous insulation through out is essential. Check near the storage tanks for weak insulation and rectify as needed. Hot/cold air ducts are easily neglected items in an unconditioned attic. Poor seals between flanged joints, weak insulation in these places and elsewhere, non continuity in insulation etc. may cause high thermal energy losses. Another cause of heat loss from conditioned areas to the attic is the recessed light fittings. Caution should be exercised when insulating the fitting as this will also entrap the heat emitted by the lamp leading to disastrous fires. Seeking manufacturer’s instruction is therefore essential in this matter. Vent grilles to and unheated attic is essential for proper ventilation of the occupied areas. Special care need to be taken to prevent obstruction of these grilles (generally located at the periphery of the attic floor).